The Government Service Insurance System is once again calling on Filipino artists based in the Philippines and abroad to take part in its annual art contest. 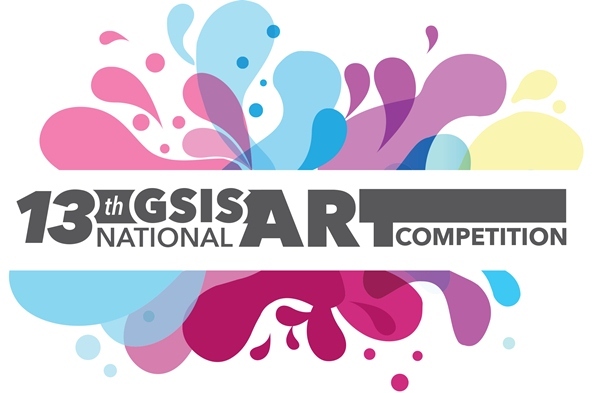 Now on its 13th edition, the 2017 GSIS National Art Competition will have an open theme which means artists have the freedom to conceptualize their works of art with very little restrictions as far as themes are concerned. Winners of the competition will receive cash prizes. The winning entries will also be exhibited at the Museo ng Sining starting in June, 2017. The art competition is open to all Filipino artists who are eighteen (18) years old or above. Officer of the Art Association of the Philippines (AAP) and artists officially assisting in the 2017 GSIS National Art Competition are prohibited from participating in the contest. Artists can submit one entry per category. That means you have a maximum of three entries. There is no registration or participation fee. Where to get an entry form? There are two main ways on how you can avail of an entry form. One, just go to any GSIS office and ask for the form. If the form is not yet available in the office you went to, you can always download a copy of the form from the official website of GSIS. Just go to www.gsis.gov.ph and find the article about the contest. What's the deadline for the submission of entries? There's only one specific day wherein you are allowed to submit your entry to the competition. Entries for the contest will only be accepted on May 6, 2017 (Saturday) from 8:00 in the morning until 5:00 in the afternoon. You are not allowed to submit your entries the day before or the day after May 6. Furthermore, you have to personally deliver your entry at the GSIS Gymnasium at the GSIS Head Office located at the Financial Center, Roxas Boulevard, Pasay City. 1. The representational entry should be 3 feet by 4 feet in horizontal/landscape orientation only (excluding frame). It must not exceed 10 kilos including the frame. 2. For the nonrepresentational entry, it should be 4 feet by 3 feet in vertical/portrait orientation only (excluding frame). It must not exceed 10 kilos (including frame). 3. The accepted medium for the representational and nonrepresentational categories: Oil on canvas, acrylic on canvas and watercolor only. Entries using collage, decoupage, assemblage or use of non-pigment based materials like paper, board, plastic metal, cloth etc. is NOT allowed. [For watercolor entries, any watercolor paper is allowed EXCEPT Illustration Board]. Mixed Media not allowed. Museum wrap or box type is allowed. Textured paint, Versatex or Gesso is acceptable primer for the entries. 4. All entries must be ready for exhibition, framed and with proper hanging system using nylon cord (tansi) only. 5. Digitally enhanced entries using machine printed canvas, silk screen or tarpaulin are strictly prohibited. Participants who shall submit entries using these materials shall be automatically disqualified from this competition, and if found guilty shall be banned from joining the competition for the next three (3) years. 6. Entries must be dated not earlier than 2017 and must be the original works of participating artists. Entries must not have been exhibited before, revised, and awarded a prize in previous competitions. 7. Entries MUST BE SIGNED by the artist but the signature should be covered with masking tape prior to submission to conceal the artists’ identity. They must also be properly labeled using a card tag or card caption to be placed at the back of the artworks. The card tag must contain the following information: Artist (Name, Address, and Contact Numbers), Title of the artwork, Medium, Size, Year and Price, if the artwork is for sale. Directly writing the information on the canvas is not allowed. 8. All participants must be responsible for bringing and transporting their entries to GSIS. No wet works shall be allowed. 9. Mail forwarders coming from the provinces should be advised by the participants that the entry will only be accepted on May 6, 2017 from 8:00 AM until 5:00 PM. Further, participants who opt to submit their entries by mail forwarders (esp. those from far-flung provinces) are encouraged to group together to save on freight/shipping cost of entries. GSIS shall not be responsible for any damage to the artwork sustained during shipment. 10. All possible care shall be taken by GSIS to protect the entries submitted. However, GSIS assumes no responsibility for any loss or damage to the entries before, during and/or after the competition. Artists shall hold GSIS and/or any of its officers or staff free and harmless for any liability/claims for loss, damage or injury to the works while in exhibit or in storage. 11. Entries must be submitted to the GSIS Gymnasium located at the GSIS Main Office, Financial Center, Reclamation Area, Pasay City (CCP Complex – JW Diokno Blvd.) on May 6, 2017 (SATURDAY) FROM 8:00 AM UNTIL 5:00 PM only. Entries submitted BEFORE or AFTER the stated date and time will not be accepted. For the complete rules and mechanics, please visit the official page for the competition at the GSIS website.